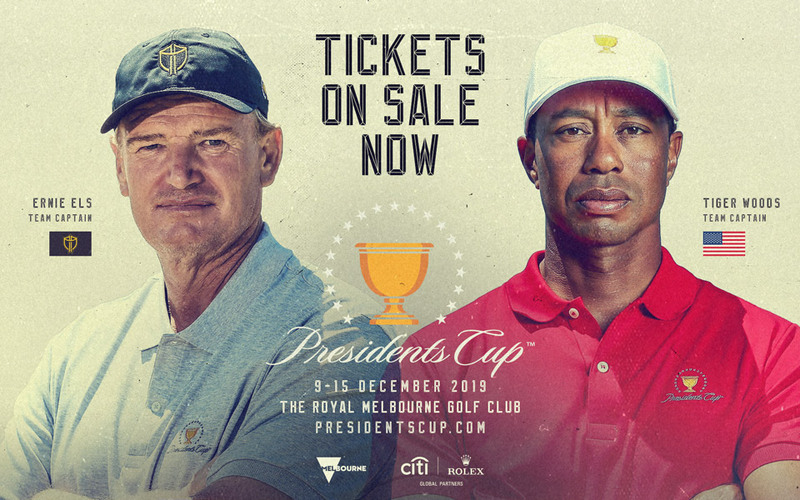 The 13th edition of the Presidents Cup will return to the famed Melbourne Sandbelt region for a third time, as Captain Tiger Woods and the United States Team prepare to take on Captain Ernie Els and the International Team in a showcase of thrilling competition and national pride at The Royal Melbourne Golf Club 9-15 December 2019. We are pleased to be able to share with you a priority ticket purchase opportunity only being offered to a select list of event partners and golf industry organisations. This pre-sale is now available and will close at midday on Friday 12 April. During this time you will be able to access the pre-sale by clicking on the link below and entering our unique code: PC19PEN.